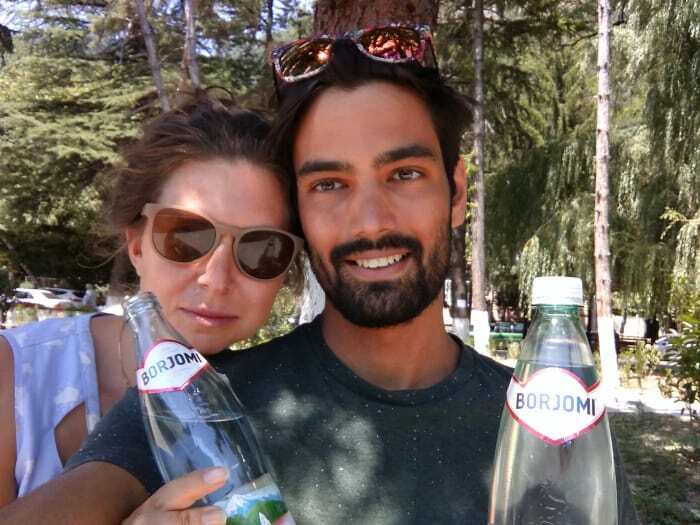 Here we share our impressions from the healing water of Borjomi and the Georgian capital Tbilisi. The town of Borjomi boasts a great location on green slopes and its famous mineral water – do not miss out! Concerning the water: It is considered a healing water due to its mineral composition. It is very rich with bicarbonates which makes it quite unique. What concerns the green slopes: you may stay in the town for a couple of nights and spend the days hiking in the Borjomi-Kharagaili National Park. There are lots of trails leading through beautiful pine forests. Alternatively, you may camp there as well. After spending time outdoors you may want to get back to civilization again, then going to Tbilisi seems like a decent option. On the road between Borjomi and Tbilisi you may want to take a break in order to jump into the cold Mktvi River on a hot day, then don’t wait for too long. Closer to Tbilisi the road gets broader and better but less spectacular. After 4 hours of driving, you are in the country’s capital. In the city centre there almost certainly is a local guy offering to help you with parking and ask for a little reimbursement. The old town looks atmospheric with its queer wooden houses. There are lots of places to eat and grab a drink at, here you may get some really good food and great vine. The places I’ve been to and can recommend: Pur Pur (eat) and Vino Underground (drink). It looks like Tbilisi is about to become the next European top destination like the newly “discovered” Prague and Riga. There are quite a lot of travel agencies offering tours to any destination in the country – more evidence of Georgia’s growing travel market and tourism proliferation. At least I hardly remember if I have ever seen a travel agency in Berlin and even if I have seen one it was not sending people to Schwarzwald but rather to far away tropical islands. However, travelling is actually not just about well-organized activities but also – or most importantly about unexpected things that may happen to you (another promised and long-awaited bit of Confucian wisdom!). Our Tbilisi-adventure stared when we headed to our hotel – and it had vanished from the earth or rather the place it was tagged in. 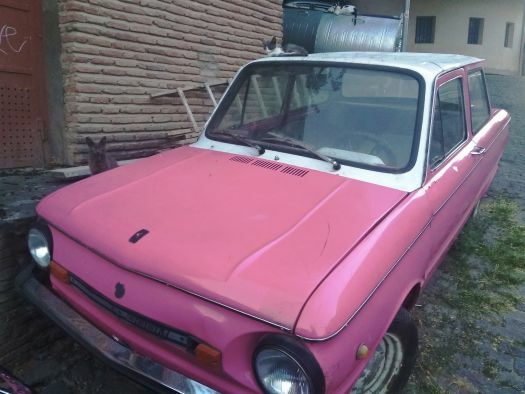 We pondered the following options: going back to the city centre, finding a café with wifi, checking the tag, looking for other available hotels or going further towards Armenia and sleeping in our car for that night as well. We decided on the last option. But it turned out to be a poor choice. Leaving Tbilisi and its suburbs took a long time, looking for a suitable campsite was impossible at night, even when the map assured us we were in an uninhabited place, some street lanterns, fences, angry dogs and children suddenly dived out of the darkness. Almost by sunrise, we stopped in a cornfield for a short nap. Here is the third and last bit of Confucian wisdom: do not try to camp close to a big city!